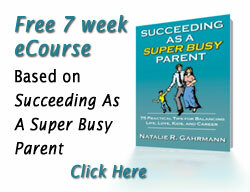 Just as the rewards of being a SuperBusy Professional Mom are unique, so are the challenges. Whether you have been maintaining your juggling act for years or you have just recently become a working mom, a coaching partnership with The Priority Pro can lead to tangible solutions for being the best in both worlds, from management to motherhood and everything in between. Today, in our fast-paced culture, there’s a greater need to reconnect with what’s most meaningful to you and achieve greater productivity and success while balancing the competing demands in your somewhat complicated and stressful life. Learn how to experience true satisfaction, joy and fulfillment as you switch from being stressed, unfulfilled and over-worked to living a life you love. Your coach can help eNeRGize you and boost your productivity, effectiveness, and success so that you have less stress and overwhelm in your life and better alignment. Be more productive at work while creating greater harmony at home. Transform your career so that it’s more satisfying, rewarding and fulfilling. Gain clarity and direction around your personal and professional goals. Improve business success by working less but accomplishing more. Increase your ability to say “no” to the things that don’t support you and “yes” to what matters most. Clearly define your priorities and discover your life purpose, mission, vision, values and passion so that you can align your life around them and live a more meaningful and fulfilling life. Expand or strengthen your personal and business skills so that life is more effortless. Establish relationships that are stronger, healthier and more peaceful. Break through the obstacles that limit your potential and success. Your coach partners with you to provide the support, accountability, structure and confidentiality to help you succeed. Experience the benefits of coaching firsthand. Call The Priority Pro at 908-392-7098 or email natalie@theprioritypro.com to schedule an introductory coaching session and see how working with a coach can help you achieve your greatest potential in your work, life and family.